April is the month to fight back! 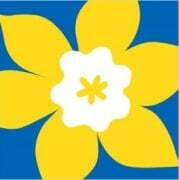 The Canadian Cancer Society is currently looking for enthusiastic and community minded volunteers to support the annual Daffodil Campaign. During the month of April, funds raised through the Daffodil Campaign will make a difference by helping to build community awareness and capacity for research, cancer prevention, and support programs for those living with cancer. Retail Pin Volunteers work with the Retail Pin Leader in their community to assemble, distribute, service, collect and track boxes of daffodil pins in retail locations close to their home, work or school. Play an integral role in supporting the mission, vision, and values of the Society.